Love Golf? 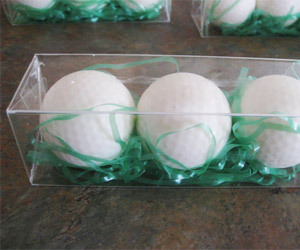 Then you ought the love Golf Ball shaped soap made from coconut oil. Just like real soaps, it help you clean up and be fres for the game of Golf.